It won’t be long before the Battle for Azeroth consumes the world, and the clock is ticking on several activities and rewards in World of Warcraft: Legion. Once the Battle for Azeroth pre-expansion patch (aka pre-patch) arrives closer to launch, Artifact weapon traits will no longer function —but there’s a new power waiting to be gained, if Magni has anything to say about it. If you haven’t yet earned your Artifact Challenge appearances for your class, you still have time. To help aid you on your quest, the Mage Tower on the Broken Shore will offer the quest 24/7 from now until the release of the pre-patch. To get started on your classes’ Artifact Challenge appearance quest, you’ll need to visit War Councilor Victoria at Deliverance Point on the Broken Shore. The first time you take on the challenge is still free, but it will cost you Nethershards for each following attempt. 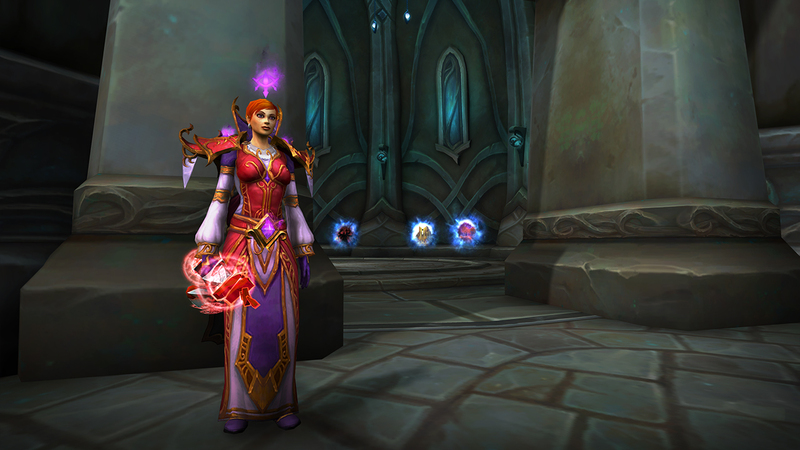 Once the Artifact Challenge quest is no longer available, if you’ve earned the base challenge appearance for your class specialization, you’ll be able to continue earning the three alternate tints for that specialization’s Artifact at any point thereafter. To gain access to the Artifact Challenge quest, you’ll need to be level 110, have earned all 35 Artifact Levels for your weapon, and have completed the quest line to unlock access to the four new traits that became available with Patch 7.2. With the arrival of the Battle for Azeroth pre-expansion patch, two time-limited Feats of Strength will no longer be obtainable—Ahead of the Curve: Argus the Unmaker and Cutting Edge: Argus the Unmaker, which charge heroes with defeating the final boss of Antorus, the Burning Throne in Heroic or Mythic difficulty respectively. 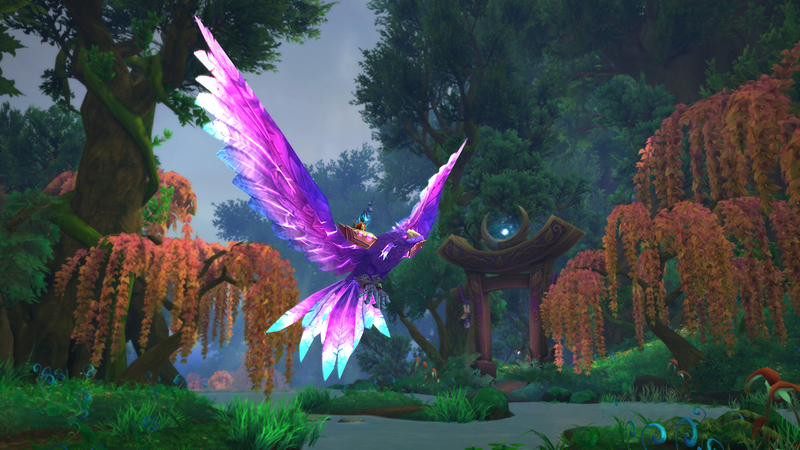 Once Battle for Azeroth goes live on August 14, the Violet Spellwing mount for completing the Blood of a Titan quest (defeat Argus the Unmaker on Heroic difficulty or higher) will also no longer be available—but if you’re interested in earning it before then, you can get a little help from your friends in the community. Keep an eye on the in-game Group Finder (I) or look for community-run groups like Friendship Birb or Perky Pugs. With the upcoming systems changes in the Battle for Azeroth pre-patch, we’re making some additional changes to professions, including removing First Aid as a secondary profession. Any achievements earned prior to then will become Feats of Strength, providing you one more feather in your proverbial cap and the bragging rights to say “back in my day” and really own it. If you just can’t survive without a roll of bandages, don’t worry. Your friendly neighborhood tailor will be able to keep you covered. Are You One of the Demonic Elite? It won’t be long until Legion Season 7 ends, and with it the opportunity to earn the Demonic Elite achievement and the PvP-only Elite transmog. Once the season ends, the achievement will become a Feat of Strength. Keep an eye out here on the official site for more information on the end of the season. For more ideas on pre-launch activities to add to your to-do list, check out Wowhead’s What to do Before Battle for Azeroth guide.